National Security Council meeting chaired by His Excellency Prime Minister, Commander in chief of the armed forces Adil Abd Al-Mahdi. At the beginning of the meeting, His Excellency Prime Minister made a presentation on the qualitative visits to Iraq by officials and foreign ministers from various countries of the world and the visit of the Jordanian King and its political, security and economic dimensions which are accompanied by developments in the region, these visits reveal the importance of Iraq's role as a pivotal and balanced country in its vision and political decision. 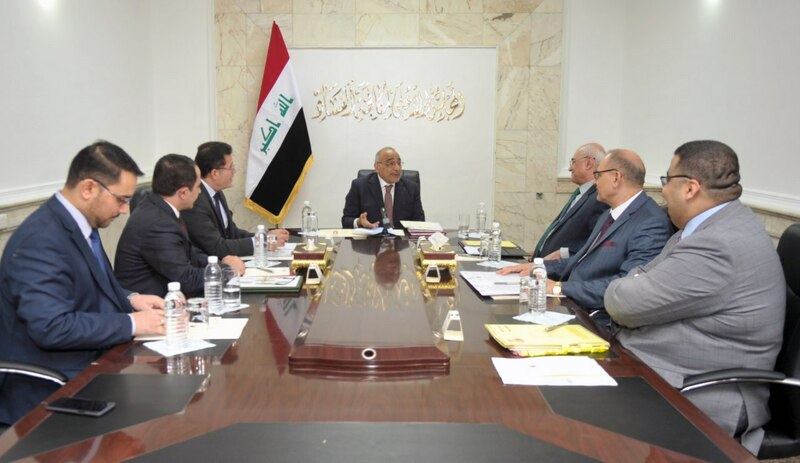 The National Security Council discussed the most important security developments in the country and took the necessary measures; the digital wall of Iraq's project was also presented, its technical features and importance in all respects, especially the halting of terrorist networks, His Excellency Prime Minister gave his remarks and guidance concerning that project to be integrated and effective, commended the efforts of those who carry out the project. The National Security Council agreed to approve the Iraq's digital wall project and the strategy to combat violent extremism that leads to terrorism.